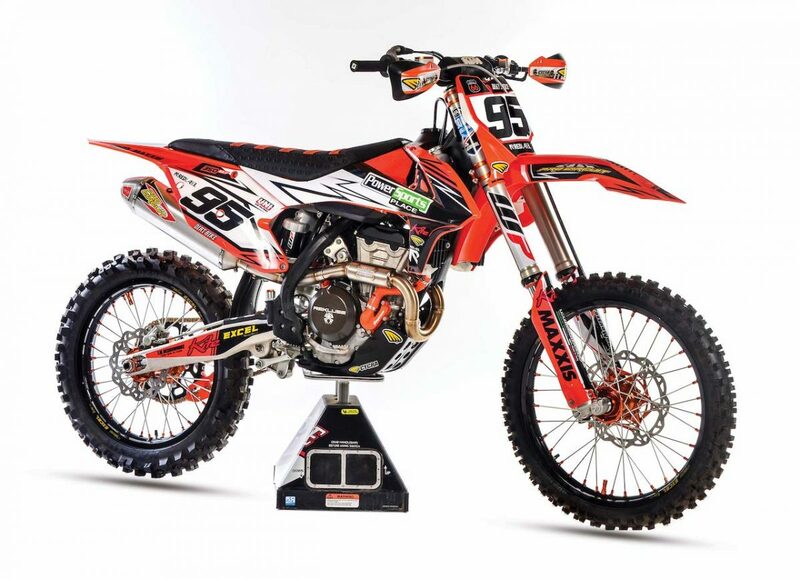 On this week’s Project Bike Spotlight we give you an inside look at our KTM 350SX-F build. The Power Sports Place KTM was a fun build that improved the overall look and feel of the bike. We packed Thumper Theater with four different custom projects for your viewing pleasure and check out the exclusive link to our KX 250 two-stroke build at the bottom of this post! Cycra PowerFlow plastic kits channel air to improve engine cooling and add a factory look with the all-orange color scheme. The Seat Concepts Super Grip cover features a rubberized gripper material and incorporates a rubber grip patch at the lower center of the cover that allows the rider to grip the bike easier and protects against damage from knee braces. 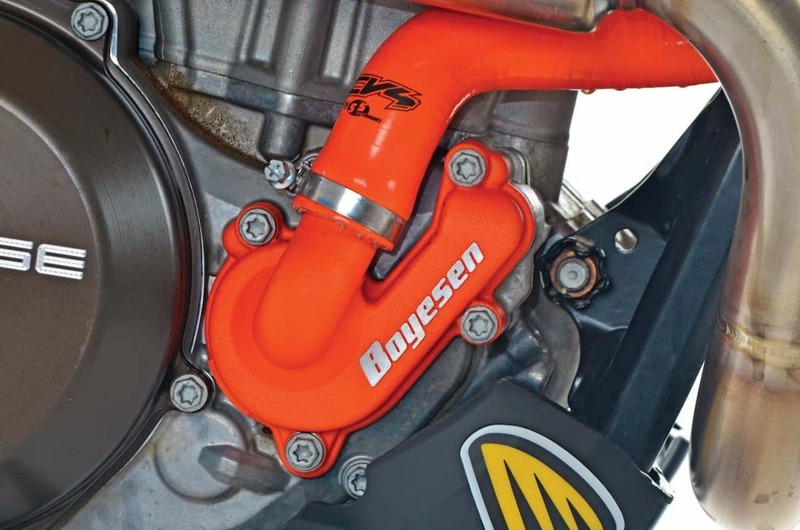 Boyesen SuperCooler water-pump cover and impeller kits are specifically designed to improve coolant flow. Increasing the flow helps the engine run cooler and keeps overall engine performance more consistent during riding sessions. The kits are available in a variety of bold-colored finishes. Kite triple clamps are made of machined 6082 aircraft aluminum for strength and weight reduction compared to stock components. 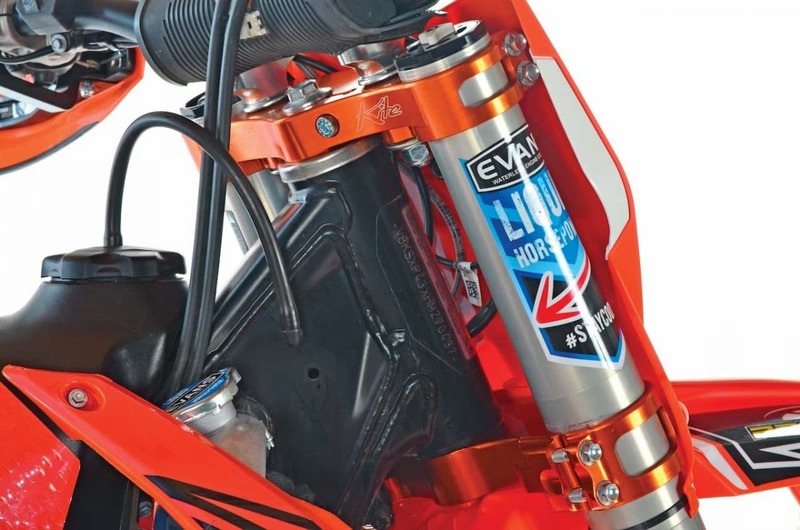 Handlebar clamps are rubber-mounted to reduce vibration and offer two different mounting positions. Side windows prevent damage to the fork in the event of a violent impact and contribute to the lower weight. 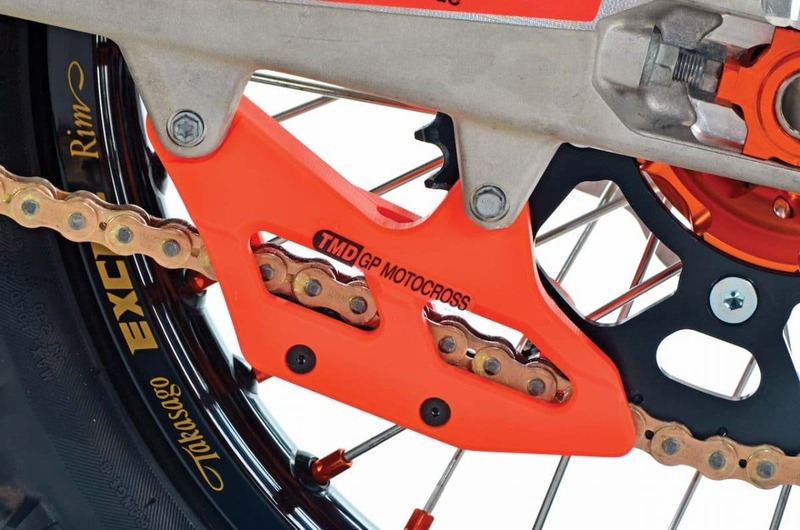 TM Designworks GP rear chainguides are designed specifically for motocross use and feature a replaceable wear block and slim design. The chainguide uses stock mounting hardware and is constructed of TM’s exclusive return-memory formula that includes UV protection and impregnated oils for low drag. 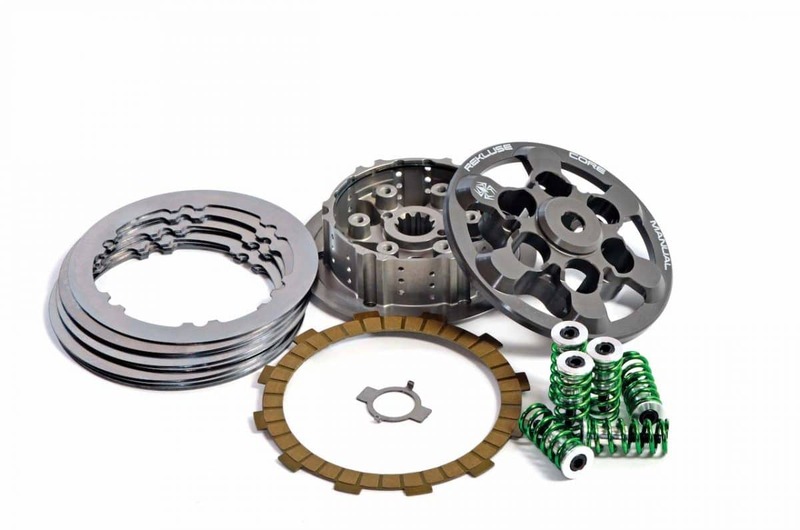 The Rekluse Core manual clutch is engineered with strategically placed oiling channels that decrease operating temperatures, reducing fade to extend clutch life. Installation does not require modification of stock parts, and a set of proprietary anti-drag steel drive plates is included. Pro Circuit’s complete Ti-6 exhaust system is designed to increase performance throughout the power curve with RC-4 resonance-chamber technology. The Ti-6 is made with titanium piping and a titanium canister with a carbon fiber end cap. 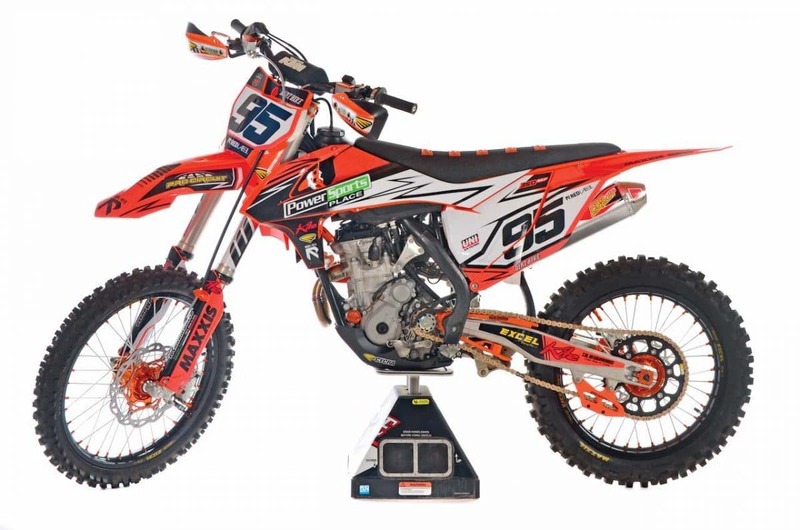 If you like the KTM350SX-F build featured on this week’s Project Bike Spotlight check out this KX250 by clicking HERE or the photo below.